Kes se nachazi v jedne ze nejkrasnejsich casti Kunratickeho lesa u cesty vedouci podel potoka. Idealni misto pro rychlou prochazku v klidne prirode. 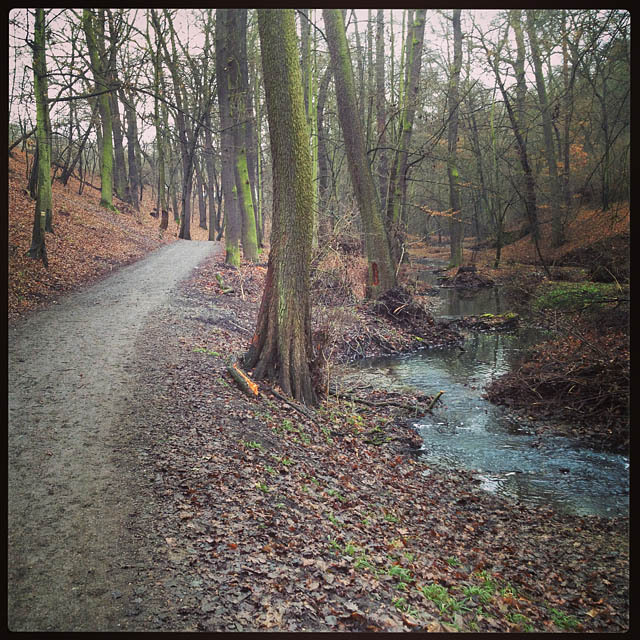 The cache is located in of the most beautiful parts of Kunratice forest near the path running alongside the creek. Perfect place for short walk in silent nature. Kunraticky les (severozapadni cast se jmenuje Michelsky les a je lidove oznacovan jako Krcsky les, popř. Krcak) je zalesnena souvisla plocha priblizne 300 hektaru na uzemí hlavniho mesta Prahy, ktera se nachazi na uzemi Kunratic. Les je izolovan od jiných lesnich ploch mestskou zastavbou, coz neumoznuje volnou migraci zivocisnych spolecenstev. Rocne je les navstiven okolo 678 tisici navstevniky, kteri jej vyuzivaji pro kratkodobou relaxaci snadno dosazitelnou v oblasti Prahy. Misto, kde se nachazi kes, je idealni pro rychlou prochazku nedaleko novostavbove zastavby Zelene udoli. Prochazka ke kesi je vhodna i pro deti, ktere zajiste oceni malou lesni zoo kousek od kese, ve ktere jsou chovany mladata srnek a danku skrvrnitych. Deti je mohou krmit a pripadne i pohladit ci se s nimi nechat vyfotit. Doporucujeme jit ke kesce od mista parkovani (u zoo) a to NE po silnici, ale po ceste podel potoka udolim a pote si k ni pekne vyslapnout:) Pouze prosime o diskretnost pri hledani - v oblasti se pohybuje pomerne mnoho lidi. Do skryse prosim vkladejte kes dukladne, aby nebyla videt. Kes obsahuje tuzku, orezavatko a logbook. 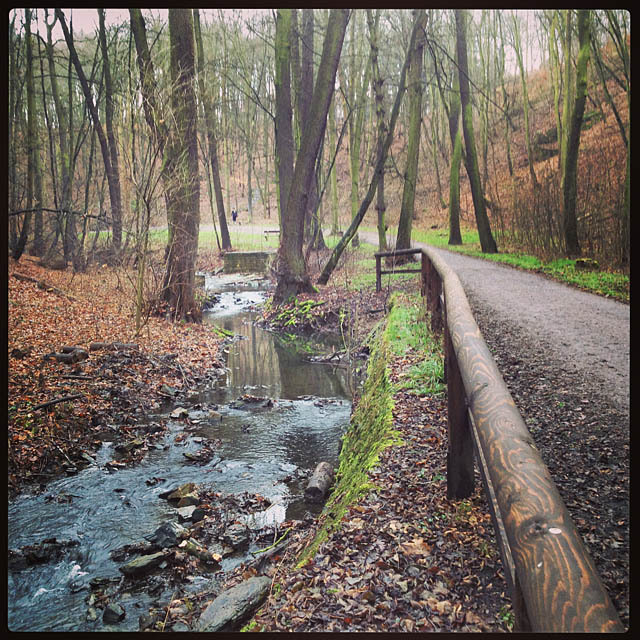 Kunratice forest is a forested area of three square kilometres in Prague. It is located in Kunratice district. The forest is separated from other forested areas by urban settlements. Forest is visited by 678,000 people per year who use the forest for recreation, sports activities (running, cycling, etc.) or tourism. Cache location is ideal for short walk near new built-up area called Green Valley. Walk to the cache is suitable also for children, which will be pleased by small forest zoo not far from cache. 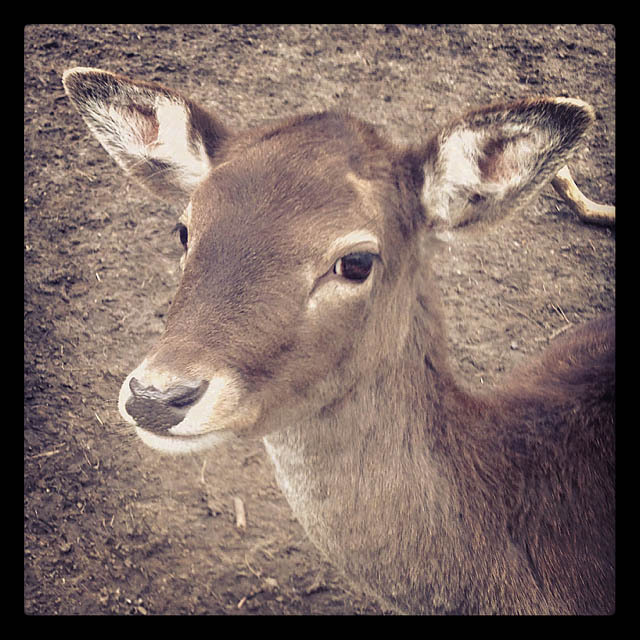 They can see baby animals of roe deer and fallow deer, it is also possible to feed them, touch them and take a picture with them. We recommend approach to cache from parking place (by zoo) NOT by road, but along the path near creek and then take a little hike to the cache:) Please, be aware of fact, that the cache place is crowded by other people walking the path! Be careful when hiding the cache, please, place it to be not visible. Cache includes pencil, sharpener and logbook.